Jacques was amazing! Very passionate guide. We learned so much about all the beautiful places he shared with us and also took us off the beaten path to hidden treasures. Excellent, charming and accomodating with the older members of the group, but also made sure my kids had a great time. Aside from being a fantastic guide, I will also add that he is probably one of the most interesting people you will ever meet! Thanks for the many great memories my family will cherish for a lifetime. Good day with Jacques in Cannes, Nice, Monaco and Monte Carlo. We enjoyed our day with Jacques as he shared the various cities with us. Thanks Jacques! We are 8 students from Taiwan visiting French Riviera, who don't know much about European culture and history. Jacques responded to our message quickly and made sure that we will see all the highlights of Nice, Eze, and Monaco. Everything is easy to understand with a mixture of history and Jacque's personal experience. The tour was flexible with some places that we won't be able to go or discover by ourselves. We enjoyed everything about it! On October 28, 2017 we visit Provence, and Jacques was our Tour Guide. We were four couples. We arrived in the NCL - Epic ship and when we disembarked, he was already at the port waiting for us. WITHOUT A DOUBT I HIGHLY RECOMMEND Jacques to be your tour guide. 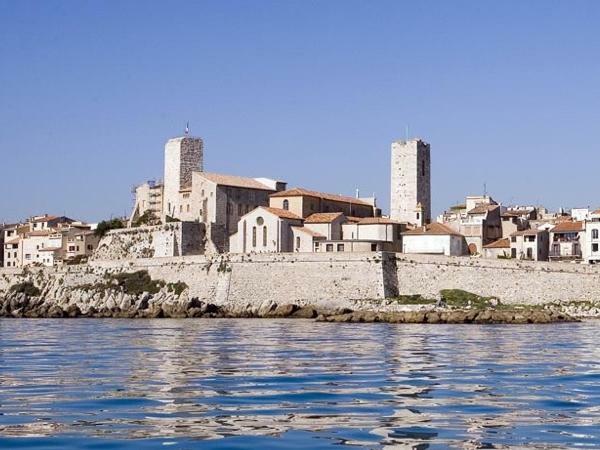 He is very knowledgeable of Marseille and the entire area outside of Marseille. He prepared a customized tour for us based on our requests and it superseded our expectations. He is very pleasant, flexible and always made sure that we were enjoying. On October 27, 2017 we visit Cannes, Fr and Jacques was our Tour Guide. We were three couples. We arrived in the NCL - Epic ship and when we disembarked, he was already at the port waiting for us. WITHOUT A DOUBT I HIGHLY RECOMMEND Jacques to be your tour guide. He is very knowledgeable of Cannes and the entire area outside of Cannes. He prepared a customized tour for us based on our requests and it superseded our expectations. He is very pleasant, flexible and always made sure that we were enjoying it. Jacques was knowledgeable, fun and flexible. It was the best day we had in the province. He knew many "secret spots we could never have found on our own. We would highly recommend Jacques as a guide and we will use him in the future when we visit again. Jacques was absolutely awesome. Knowledgeable, personable, entertaining and an excellent driver. Unlimited stories, unusual facts, ability to get you around traffic so you can see as much as you can. Overall, great experience and excellent day in French Rivera. If your planning an excursion to Monaco/ Monte Carlo area, you must book with Jacques. Being a history teacher, his knowledge of these areas were incredible and made it very interesting for the kids. He is flexible and punctual!!! We will use him again!! Jacques was a great guide who took us to a number of places not even on itinerary. He was very friendly with our kids and he was flexible with the schedule. We had a great time. Even before we arrive at Villefranche, Jacques communicated by email and answered my questions about his tour. He met us at the cruise terminal and off we went to walk the old city in Nice. Jacques took us to the open market, where we walked among the stalls and enjoyed the scene. When my husband said he wanted to buy some wine, Jacques took us to a neat wine shop. When my mother indicated she was hungry, Jacques took us to a perfect restaurant. When the traffic backed up, Jacques knew short cuts. My family and I have used private tour guides in many countries. None of our previous guides comes close to Jacques. He spoke excellent English and told great stories all day. He was incredibly knowledgeable about almost everything. I only wish that we had booked him for some of our other tours. Jacques is the perfect guide! He is knowledgeable, passionate and so much fun! We could not have had a better experience and that is due to Jacques. I would highly recommend him for any tour in the south of France. Jacques was a delightful guide. Very flexible, has a very comfortable van for transportation and even stayed late after our tour finished to give us a ride to Cannes where we were headed that night for dinner. I had to go back and review the recommendations for Jacques as our experience did not reflect what I had read before our tour. I scrolled far enough down and found a review similar to our experience. Jacques spent more time talking about himself, his other "fabulous" jobs with the rich and famous, and his family than about the places we were touring. He did not smoke in the vehicle but did puff on a cigar whenever he could and brought the smell into the van. Bathroom requests were rudely acknowledged. Jacque was the perfect guide! He was knowledgeable, funny and very accommodating. Jacque is very kind and considerate. I broke my foot the day of my trip and he adjusted the itinerary to meet my needs. I was alone on this trip and felt safe and respected the entire time I was with him. I highly recommend Jacque and plan on using him again in the future. Highly recommended guide - that is how I feel about Jacque. Jacque took me and a work colleague on a French adventure full of flowers, fun, history and of course Monte Carlo. Jocque was very accommodating and knew the history, the people and the best places to visit. I believe anyone who has the opportunity to go with Jocque is blessed. This was our second day with Jacques. After a fantastic first day, we were happy to meet up with him again. He used what he learned about us to plan a perfect second day. He was engaging with both our teenage boys and made it clear that his only interest was to ensure all four of us enjoyed ourselves. In addition to our historical sightseeing, he took us to some wonderful shops and restaurants. It was great to be with someone in whom we could place our full trust. We met as clients and left as friends. Jacques put together a wonderful tour for our family. Not only did he take us to everything we requested, he also added some of his own special touches to the tour which we all loved. He has a wealth of information and is happy to share it. Jacques was excellent. Very knowledgeable and a great guy. Jacques was just as interesting as the beautiful countryside he so passionately showed us. He was knowledgable and engaging. We would highly recommend him! Our tour with Jacques was so much fun from beginning to end. He has such an entertaining personality along with his in depth knowledge of St Tropez and its surroundings. The next time we are in the area or have friends visiting we will definitely recommend Jacques as a guide. He's the best! We were able to see in one day what would have taken four separate trips with our cruise line, including what would have been trips the following day when we went to the next port near Marseilles! Needless to say, this is a great way to see Marseilles and the surrounding area and is a great value. Jacques knows a lot about the area and can answer most any question. He is also able to manage and schedule the time to optimize the experience and is very conscientious of individual preferences. 8 of us went from St-Jean-Cap-Ferrat to Monaco for an evening. Jacques took us on a (custom) tour of Eze and stopped so we could take photos at a scenic overlook of Monaco, along the Formula 1 circuit, past the Oceanographic Institute, the Palace, the Opera House, then dinner in the port to see the gorgeous yachts, ending with the Monte Carlo Casino. Jacques was fantastic - so interesting and knowledgeable! We loved our night - it was one of the best of our trip. Jacques was a superstar. A++++ Service! Jacques was a great tour guide!! Very interesting & informative with lots of good stories. We all enjoyed the tour & loved the scenic villages we visited. Thanks for the great tour! It was really pleasant trip, very interesting and full of surprises, beautiful views and picturesque landscapes. Wonderful guide!!!! What a character too. Very knowledgeable. We all loved him! Terrific tour. Hit all of the spots that we wanted to see. Eze is simply fantastic! Will be back and will call Jacques for future tours. We found Jacques to be both knowledgeable and quite entertaining. He was able to give us great backround information about Cannes and Monte Carlo. The pick up at the dock was smooth and his driving is fantastic. I would never want to drive in Monaco. I highly recommend him to others for this tour. TOUR GUIDE RESPONSE: wouah ... thank for the comment :) it was a nice day;really! yes trafic in Monaco is sometime like in NY with more narrows streets. Jacques was absolutely wonderful. Took our group of four to see the Monaco high points and told us more than we could absorb in facts about Old Monaco. Then we were off to the countryside and saw the town of Nice and its wonderful flower market. At the market Jacques was kind enough to give us a sample of the local fare,Sappo. Just delicious! Then we were off to Eze and had a fabulous lunch and saw the quaint village history, and shopped. We would highly recommend Jacques for any tours he might offer. TOUR GUIDE RESPONSE: what to say .. just thank you !!! but I have to say than the weather wwas just incredible for end of November the sun was with us and HOT !! J.
Jacques was a very informative guide. Although the restaurant we went for lunch was very nice, perhaps there could have been a choice (which could have been set up before the tour). The wineries were lovely, I would recommend this tour. We spent two days with Jacques as our tour guide in France and Monaco. Due to his knowledge, expertise, and charisma these were two of the most memorable days that we have had touring the world. During our first day we told Jacques that we enjoyed smaller villages more than large cities. During our second day we visited a very small city founded by the Romans, in which most of the current houses were built during the 1600's and we were the only tourist in town. It was fantastic. Jacques is one of the most knowledgeable and interesting tour guides that I have ever had the pleasure of touring with. We spent two days with him in France and Monaco. He modified his "standard" tour itineraries to visit some smaller, less touristy, villages. The next time that we visit she southern coast of France I will definitely book Jacques as our tour guide. He was excellent! Lots of interesting comments and historical facts . The time with him flew by!!!! He is the best! We really enjoyed the tour that Jacques took us on. We left it open for him to show us the sights and it was perfect. He is extremely knowledgeable and provided history and information on every spot we stopped. He had many interesting stories to tell us while driving! Highly recommend Jacques as a tour guide! Also, his vehicle was comfortable to travel in! Great day! Jacques gave our family of 8 an excellent day. He is very knowledgable and speaks fluent English. The town of Aux en Provence is beautiful and Jacques led us through interesting streets and lanes opening on to markets and town squares - altogether a great experience. Cassis is a beautiful seaside town and a great place for lunch. I highly recommend Jacques for a great day. Jacques did an AMAZING JOB with my clients during their schedule Shore Excursion with him. He was so knowledgable of his area, kind hearted and one heck of a great driver too! When they ran into traffic in town, he knew the back streets to get around them all. If you are lucky enough to book him, do so because he is the best in the Port of Marseilles! I will use him time and time again! Jacques knew his "stuff," was very personable and showed my wife and I great time on his Art Tour. We had Jacques in Cannes! - he was terrific, we enjoyed every minute - he tailored the day to fit the needs of all 7 of us, with panache! 5 out of 5 for Jacques!! Merci! Jacques was entertaining and we enjoyed the tour with him very much. Highly recommended. Informed, well versed, and super guide. Jacques is a true professional guide, is resourceful and our group of 17 adults are very satisfied with his performance. Excellent performance. We have no hesitation in recommending him to be your guide in The Côte d'Azur. TOUR GUIDE RESPONSE: mr chi , Thank you It was an excellent day with a nice group Under the sun and not too much people in Saint Tropez. TOUR GUIDE RESPONSE: bob , thank you for your comment, I wanted to bring you in some special places but a saterday in winter by raining and cold day; Many of these places were close like the castle and the olive mill I wanted to show you. many places are open after Easter. This was the only tour that we arranged through tours by locals that we were disappointed in. Jacques took us to St. Topez as we had requested but he gave us no commentary on our way there. He simply talked about all the people he had taken on tours and what he had done in his life. He is also a cigar smoker and the van reeked of cigar smoke. I'm not sure he is all that familiar with this area as he is from Cannes and perhaps he would be more engaging had we chosen that tour. TOUR GUIDE RESPONSE: Dear Susan, I'm really surprised by your feedback as I did this tour just as I have many other times before.I thank you for your comment as it offers me an occasion to do better next time, I will provide more information between Toulon and St Tropez, and although I never smoke cigars inside the vehicle, I will do my best to ensure the transportation always clean and smelling good. Thanks. TOURSBYLOCALS RESPONSE: The guide manager brought the cigar concern to Jacques and now he will make sure that other passengers don´t smoke inside the van. Jacques became our personal friend. We spent two weeks in Luberon and he was our guide for three days. We wanted to see "the real life". Guides are expected to be punctual and polite, know fascinating places, get you there, and avoid traps . . .and Jacques did. Friends are patient with your eight-year-old French, laugh at your jokes, and challenge you to eat things you would never dare at home. With Jacques, the France we met was stunningly friendly. That is precisely what we wanted! Would use him again. Our tour of Monaco and surrounds was our second day with Jacques as a guide. He was able to supply good history of the area and made sure we had an panorama of the entire state. Do not his the automobile museum. Spectacular! After the standard sites in Monaco, Jacques took us to the hill town of Eze. Do not miss this. It is wonderful. The only thing I would have wished were better was a restaurant recommendation (poor) and Javques' sometimes strangely accented English. Jacques made every effort to see that we saw things we wanted to see and was very patient with our special-needs passenger. We all had a great time and would certainly recommend him to anyone planning to visit the area. He was as advertised, took us the places we wanted to go, not where the tour guides wanted us to go, was pleasant, informative, and seemed intent on seeing that we had a good time. We had a great experience. Thank you for a lovely day! My family and I had a wonderful time exploring the towns with you. We highly recommend Jacques to anyone who is considering taking this tour. Our guide spent most of the day trying to boost his ego and tell us wild stories about himself. We did not visit any Picasso Museum as advertised nor did we see Princess Grace's grave site or the Casino in Monte Carlo. We realize we could not get down into Monte Carlo but some of us had been there before when there is a race and you can get to the Casino, we did not. Disappointed our friends who had not been there. This man charged a large sum and did not deliver. You owe us a refund. TOUR GUIDE RESPONSE: monsieur , It was the grand prix historique. they closed the parking lot completely! What was I suppose to do? I apologize but some days it is impossible to do things! Monaco is a very unique place as I explained to you and I did my best to overcome the issues we faced. When the police ordered us to move, we had to obey them. Due to the lack of mobility of one of the customers in the group, we were not able to move as fast as other groups usually do. TOURSBYLOCALS RESPONSE: The comments above came up as a surprise to us and to the guide since Jacques has an impressive feedback history with ToursByLocals. In order to improve his services, we forwarded Mr Gambone's comments to the guide and to his support manager who are working on strategies to avoid impressions like the ones mentioned by Mr Gambone. Jacques was an excellent guide, explaining and answering questions as we went along. His knowledge of the areas we travelled through exemplary. He was friendly and flexible, altering the schedule to suit our needs. Would highly recommend him for any tour. A memorable day for all of us. thanks Jacques . Five Star Plus. Excellent guide with great sense of humor. His knowledge about the area was quite extensive and he was able to tailor our tour to the specific areas of interest to us. The guide was Laurent (not Jacques). He was not as knowledgeable as other guides we used during our holiday and less organised. The itinerary was over-optimistic - it would have needed at least 3 hours longer than the 7 hours we had available to have fitted in all the places shown so we were always slightly on rushed to see the places we were able to visit. Notwithstanding this, the visits to the old Synagogues in Cavaillon and Carpentras were very interesting. TOUR GUIDE RESPONSE: As I told you, with the mistake you did with the reservation date: october 7th instead 9th I said to you It was impossible for me to guide you , I was with another group for the 7th. then ,I asked to Laurent/Dov to be your guide as he know perfectly the tour and he live in this district. now; for this tour,from Marseille there oftenly problems with the traffic during office hours. Jacques gave us an excellent tour of Marseille and Aix en Provence. We also had time to visit several other areas during our 8 hour tour. The highlight for me was the opportunity to take night photos of many pre-selected vistas. Jacques was very patient with my constant requests for many photo sites. I am posting this just 2 weeks after the cruise end. I am pro photographer, the photos for this trip will probably be online after Jan. 2014. Please visit www.kristenkay.com. We really enjoyed our private tour with Jacques. He was very knowledgeable about the area and towns. Being a private tour for 6 people we were able to set our own schedule and when we found Cassis to be SOOO beautiful, Jacques gave us the extra time we wanted and still took us to Cathedral Notre Dame de Mer before getting up back to the ship before departure. TOUR GUIDE RESPONSE: bonjour Barbara , It was really a very nice day. and we spended good time together jacques. Jacques is probably the best guide we have ever had in our many travels !!! He is one of the most entertaining and knowledgable guide around. He gets the Oscar for best Tour Guide !!!! We were 2 families and he had my daughter constantly asking him questions versus taking a yawn with other guides. We also had an excellent lunch with him and we would never use anyone else for any future tours in the region. He is the best !!!! Jacques was a character . So animated that he made the tour so fun and interesting. He used our time to conduct business related to the Cannes Film Festival on his cell phone. We truly never had his full attention...incredibly disappointing! Here are just a couple of items for your info about him: 1. His van smelled of cigar smoke, and he 'smoked/sucked' on the cigar during the out of doors time with us. 2. The 3 Nice art museums he took us to were all closed. He seemed way too proud of himself and his doctorate in art history, but why didn't he know these museums would be closed? TOUR GUIDE RESPONSE: Sorry that you were disappointed. I received 5 calls from the film festival organisation in 8 hours, sorry for this problem, but I explained the situation and thought you were OK with it. I do hold a cigar, but it was always unlit and I never smoke in my vehicle. The museums had a surprise strike that day and it was impossible to know. TOURSBYLOCALS RESPONSE: We've spoken to both Jacques and Christine (the travel agent who booked the tour). A refund of 50% was issued. Had a great time with Jacques...! So much to show us and really took our requests into personalizing our tour. We would definitely use Jacques again on our next visit. He's knowledge of local history was fascinating. We just returned from our tour with Jacques from Marseilles from the Ruby Princess. Jacques was superb!!!!! Jacques exhibited a plethora of knowledge, extreme courtesy, and enhanced our tour with wonderful information. I would very highly recommend him for the Jewish Heritage tours in the France regions. Thank you so much for your assistance and encouragement. I will certainly use toursbylocals for many future tours for my clients. Jacques proved to be very knowledgable and knew his way around the traffic. This however made for an extremely uncomfortable ride through many twists and turns. We did see a lot in the short amount of time we had. Because a member of our group was handicapped we requested no stairs and little walking. Jacques did a fairly good job at meeting our request. Our family had an enjoyable day with Jacques. He made our visit in Cannes a memorable experience. He gave us the best tour and was very informative. He picked us up when and where we had agreed. I would definitely do a tour with him again. What can I say but GREAT and thank you. Thoroughly enjoyable and informative day, made special by Jacques!!! TOUR GUIDE RESPONSE: thank you , it was a great day !